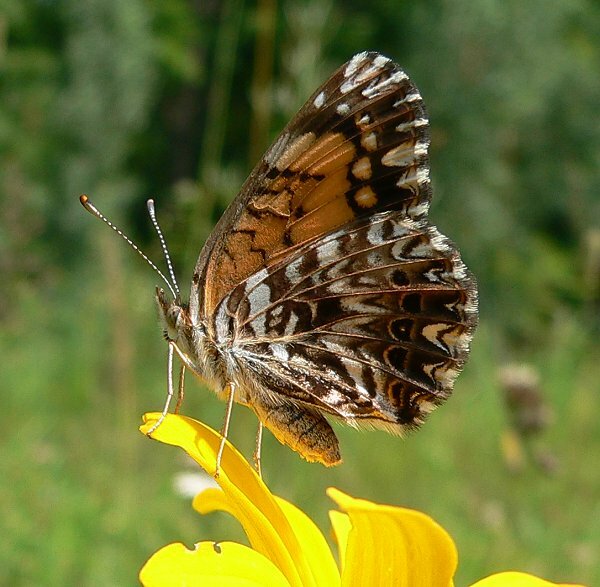 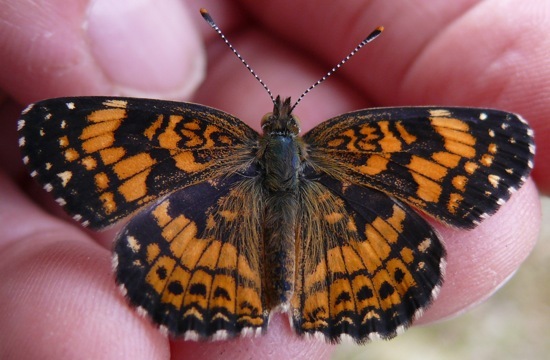 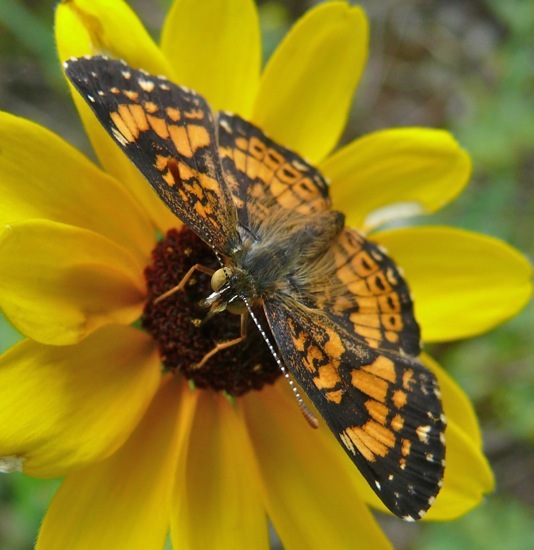 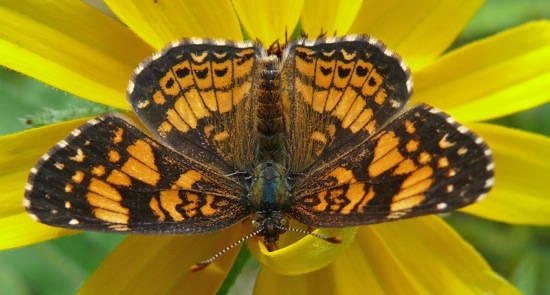 7/21/2005 – This was the first Gorgone Checkerspot I saw – on a butterfly count that Mike Reese and I did at our farm. 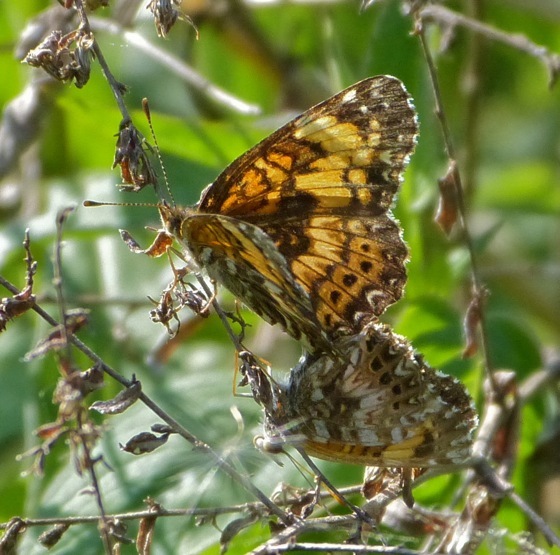 Since then I’ve seen many of them – they’re a fairly common butterfly on our land. 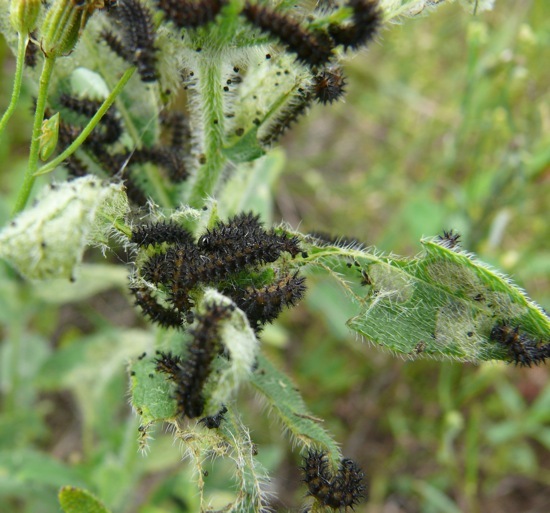 I found these caterpillars feeding communally on Black-eyed Susan (Rudbeckia hirta) on June 20, 2010. 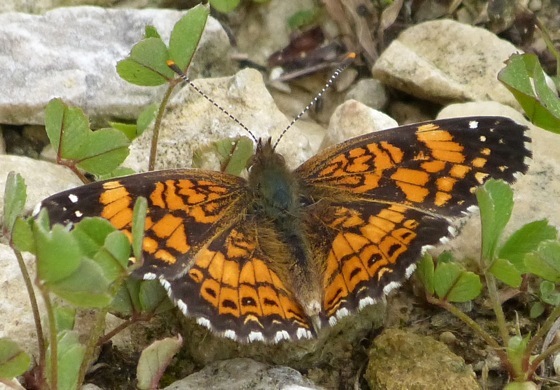 They were in one of our planted prairies. 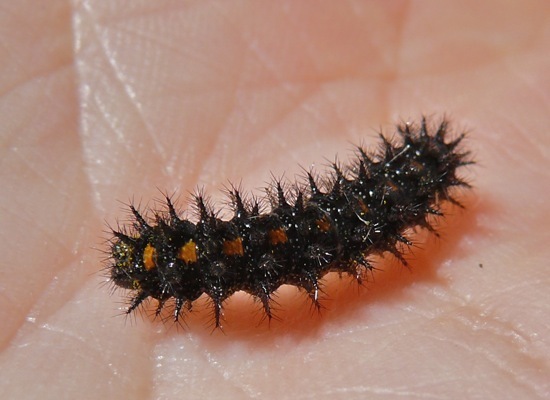 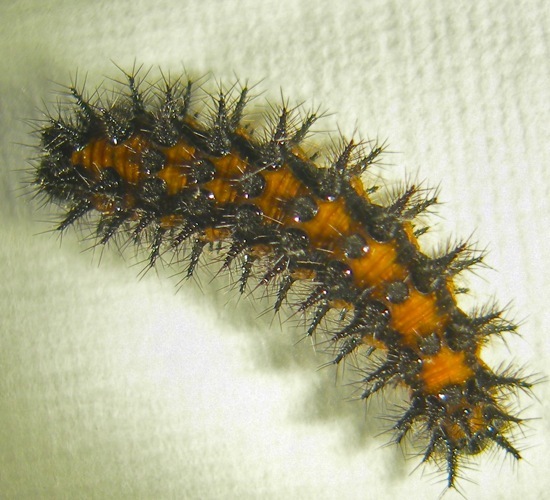 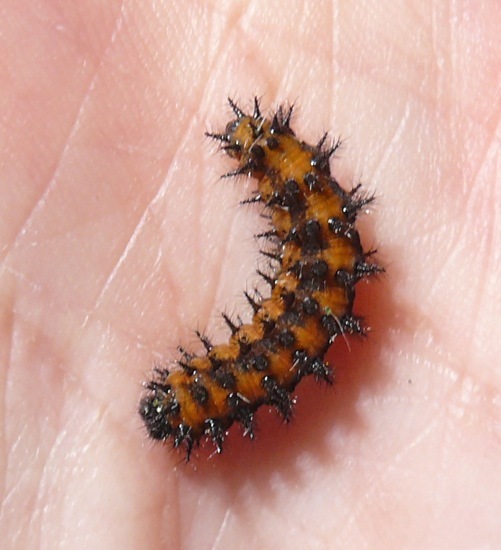 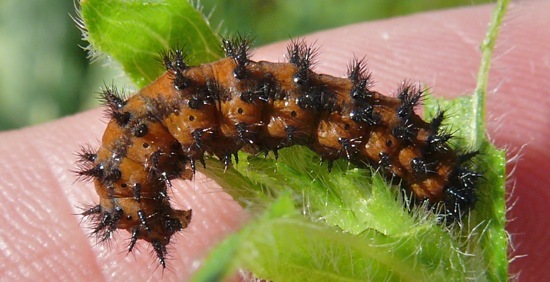 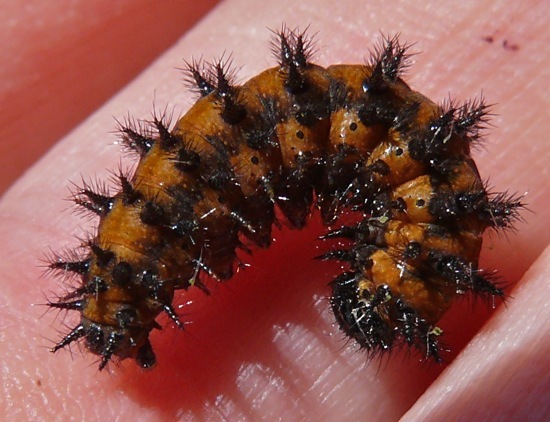 A close up of one of the caterpillars – slightly larger and more orange than the rest. 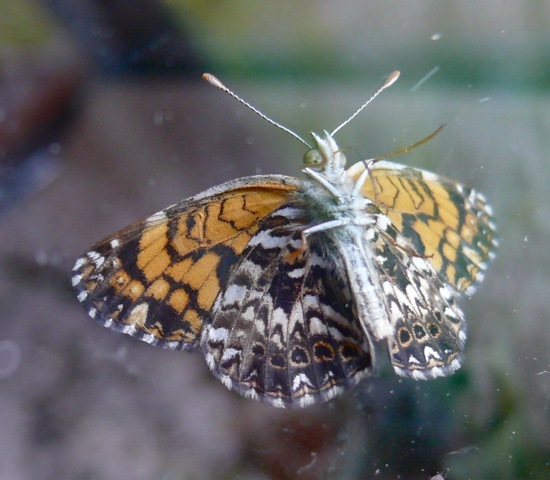 I wasn’t sure what species they were, so I brought them home and put them in an aquarium. 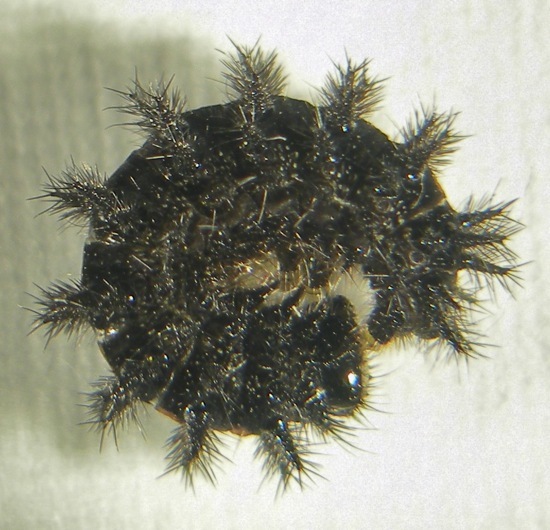 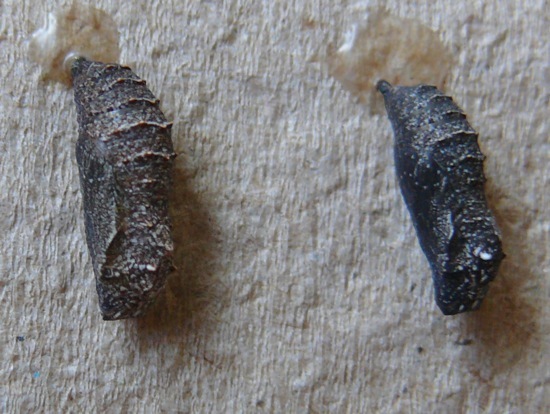 Here are two larvae a few days later – on June 27. 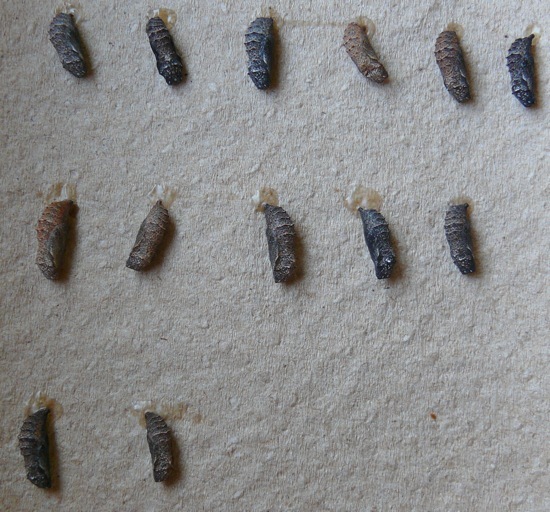 They began to pupate a few days later – in the first few days of July.